A bald eagle was freed from a tree by a patriotic Army veteran, who spent 90 minutes firing 150 shots into three branches ahead of the Fourth of July holiday. 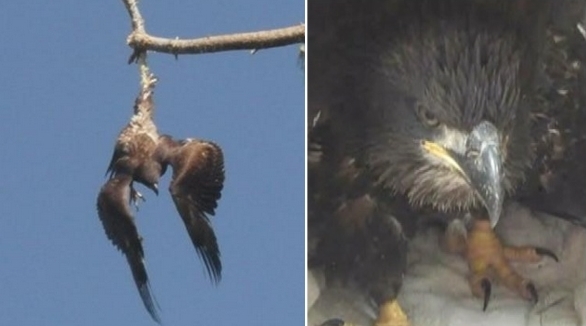 Jason Galvin, who did two tours in Afghanistan, was on a bait run on Thursday when he spotted the eagle dangling upside down from a rope it got tangled in, according to KARE 11. 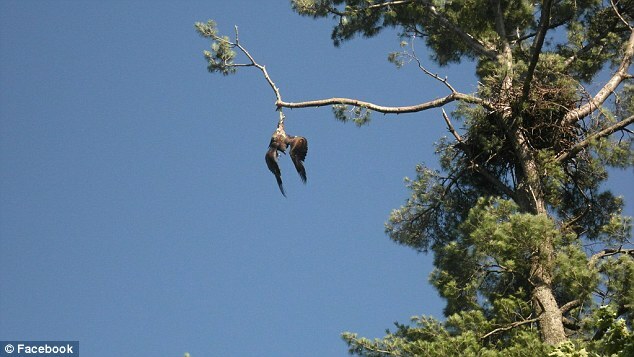 Galvin estimated the bird was hanging from the tree about 75 feet off the ground. It had been there for more than two days. Neighbors called the Minnesota Department of Natural Resources (DNR) and the Rush City police and fire departments, but were told there was nothing the agencies could do because of how high the eagle was in the tree. At one point Galvin joked that he might have to shoot the eagle down and his wife responded by telling him 'that's what you're going to do', according to KARE 11. Galvin then spent 90 minutes taking nearly 150 shots from a .22 caliber rifle 'while mowing down three branches, and finally the rope, holding up the eagle'. 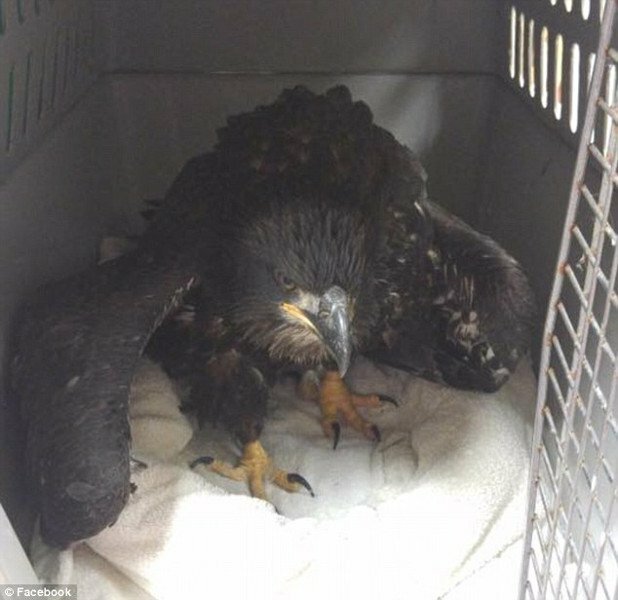 Responses to "US Veteran Rescues Bald Eagle Trapped in a 75-Foot High Tree"
I gun used for good, imagine that now? First time for everything.